In the 90s and now! Many people have heard of the actor Dwayne “The Rock” Johnson. He is the highest paid actor in the world and the most popular actor on social media. But do you know his story? Johnson was born on May 2, 1972, and is 46 years old. His Samoan family has a history of wrestling. His grandfather, father, and a couple cousins were professional wrestlers. Interestingly, when Johnson was a wrestler, he wrestled with fake cousins. His fake cousins are a wrestling tag team called “The Usos”. While they aren't related to him, one of his real cousins, Nia Jax, is still wrestling professionally. Johnson just had a baby girl, Tiana Johnson, so that gives him and his girlfriend, Lauren, 3 kids to take care of now. He did have 2 dogs, but his french bulldog died in 2015 after eating a poisonous mushroom. Before Johnson became an actor and a wrestler, he played football in college at the University of Miami. According to Sports Illustrated, no National Football League teams wanted to draft him. So, he signed with the Calgary Stampeders of the Canadian Football League right before the 1995 season. He was then cut from the team 2 months later. 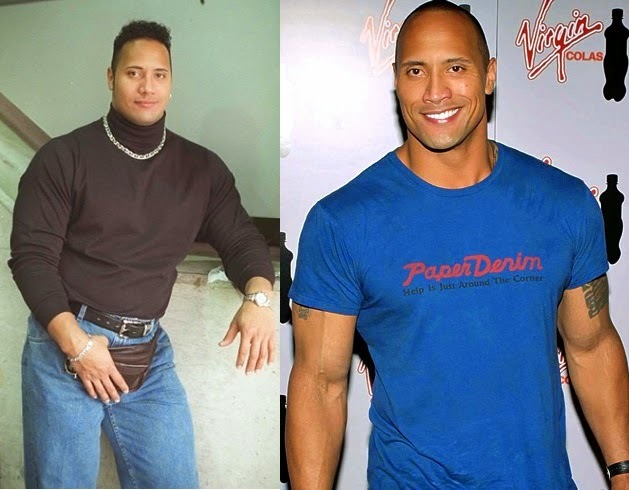 Next year, in 1996, at the age of 24 he was introduced to the World Wide Wrestling Federation (WWF) as “Rocky Maivia”, then was later called “The Rock”. In his WWF career, he received many nicknames: “the most electrifying man in all of sports entertainment”, “the brahma bull”, and “the people's champion”. He would make all the fans laugh, and they would love it when he would pull of his signature moves, including the “rock bottom” and “the peoples elbow”. Johnson got loads of fame in wrestling and soon started acting in movies. He has starred in many movies, including Rampage, Jumanji: Welcome to the Jungle, and The Scorpion King. Johnsons entire journey is what made him so popular. Johnson truly has rocked this world.